ROCKSMITH STORE OFFICIAL BLOG: Frank Ocean Feat. 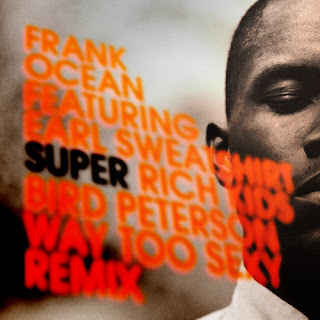 Earl Sweatshirt "Super Rich Kids (Bird Peterson Remix)"
Frank Ocean Feat. Earl Sweatshirt "Super Rich Kids (Bird Peterson Remix)"